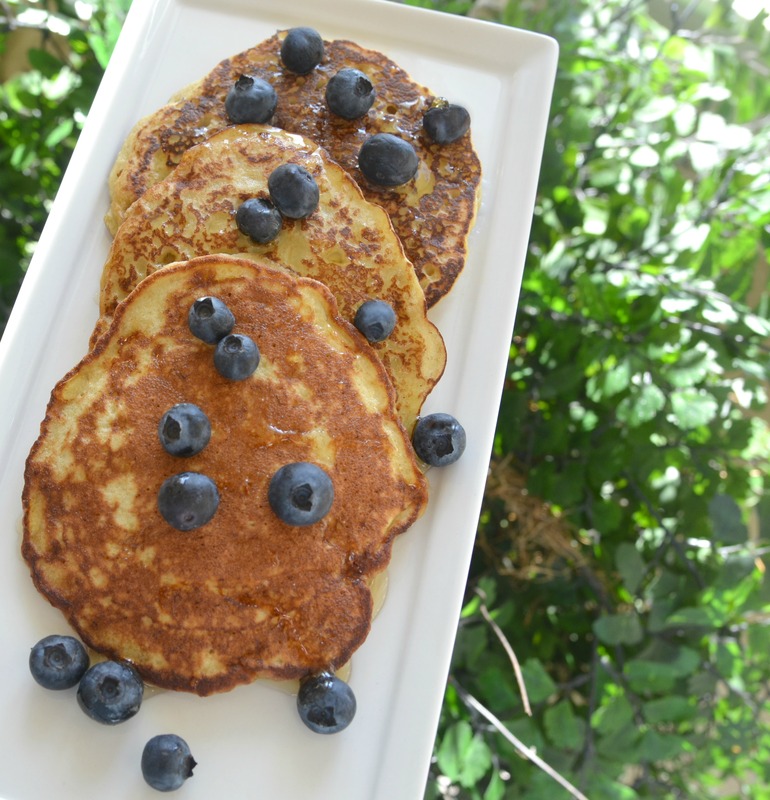 These are the EASIEST pancakes EVER! And pretty healthy too. You will be eating them in 10 minutes…and smiling! Ready, set, GO! In a small bowl, mash the banana with a fork until very smooth. Add the beaten egg and vanilla, and mix…then sprinkle on the flour and stir. Spoon 1/3 of the batter onto a hot skillet sprayed with cooking spray…makes 3 pancakes. Cook over medium-low heat until the top begins to bubble slightly and the edges look cooked…this should only take about 1 1/2 minutes. Turn the pancakes over and cook on the other side for about 1 minute or until lightly browned. These are delicious just as they are, or serve with a drizzle of fresh honey or sugar-free syrup for a “lite” breakfast meal. Can’t wait to try these! I think I am going to top them with fresh strawberries and real homemade whipping cream. Dellish.